Wolves have wrapped up a permanent deal for Jonny Otto and manager Nuno Espírito Santo thinks the player is a great asset for the club. Nuno Espirito Santo has described the club record-equalling signing of Jonny Castro Otto from Atletico Madrid as "really good" for Wolves. The Spanish wing-back signed permanently for the Premier League club on a four-and-a-half year contract for £18million on Transfer Deadline Day. 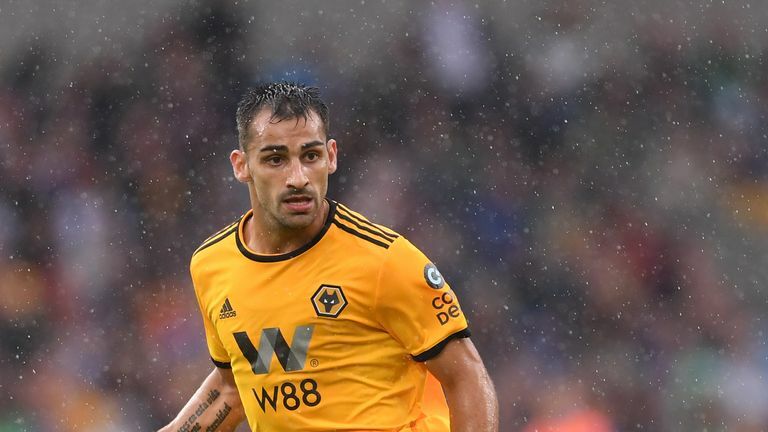 Jonny Castro Otto had been on loan to seventh-placed Wolves since July 2018, featuring in 20 out of the club's 24 matches this campaign. Nuno said: "We're really pleased with Jonny, since the beginning his performance, the way he's adapted himself here, we are very pleased. "We wish him to improve every day. He's a really good option for us and I've very glad he's joined us in a long contract. "He's happy here, he's with his family, and he's adapted to the Premier League." It was the only signing that the West Midlands side made in the January transfer window, despite coming close to securing the services of Tammy Abraham on loan from Chelsea while a deal for Rubin Kazan striker Sardar Azmoun fell through. Meanwhile, squad players Kortney Hause, Dominic Iorfa and Leo Bonatini all made moves away from Molineux during January. On the squad depth at the club, Nuno said: "We started with 18 players plus goalkeepers, now we have 16 players plus goalkeepers plus the back ups in the under 23s. We are optimists and glad that there is competition."